The product undergoes a Patch Test, a diagnostic method used to identify whether a substance that comes in contact with the skin is causing contact dermatitis. The product is applied to an adhesive plaster and affixed to a localized area of the skin. The dermatological control is carried out after 24 or 48 hours. Every lot of products undergoes a test to detect the presence of any micro-organism and guarantee its compliance with the European Pharmacopoeia requirements. The ophthalmic test is carried out to evaluate the degree of tolerance of the cosmetic preparations that will be used in the periocular area. The product is used on a daily basis over a specified time. The cosmetic tolerance is defined on the basis of the clinical evaluation of an eye doctor, who determines the onset of anomalies in the eye and records any adverse reaction reported by the volunteers. Product formulated to minimize the risk of allergy. The product undergoes a "Repeated Insult Patch Test” (HRIPT)", a test to determine the skin allergic response, which is repeated over time. The product is applied to an adhesive plaster and affixed to a localized area of the skin. The application is repeated 9 times during three consecutive weeks under dermatological control. The test allows to evaluate whether using the product daily may develop comedones, which may cause the occlusion of the sebaceous follicle, thus leading to the appearance of skin imperfections. It is the core value and the historical factor underlying Rilastil's guidelines. The quality is guaranteed by the effort of creation and formulation of our scientific laboratories and by the incessant research of excellence in formulation and production. 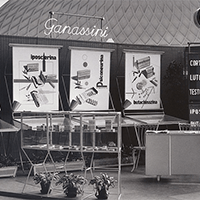 Strictly selected active principles ensure the best quality, the utmost cosmetic agreeableness and high performance. Dermatological safety is guaranteed by dermatological and microbiological tested formulas, by strictly selected active principles and by the incessant testing of raw materials, semi-finished and finished products. 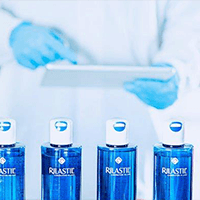 Innovative active principles, specific formulas, the use of packaging materials designed to preserve the integrity of formulas at best, clinical trials and high quality processing guarantee the efficacy of Rilastil products. The main focus of the company has always been the people who make it up and who had the merit of conveying its values and creating a strong bond with its main interlocutors: doctors, pharmacists, consumers. An efficient and challenging work environment inside the company, where the business culture of quality is the chief value also in the choice of managers and staff members. A very competent and widespread trade network, made up of medical representatives and salesmen, highly select and qualified, has contributed to spread the company's values, representing one of Rilastil's core strengths. Strictly selected active principles ensure the best quality, the utmost cosmetic agreeableness and high performance. Efficacy is guaranteed by the clinical tests carried out on each product and by the rich dermatological and pharmacological know-how of our Research Laboratories. Dermatological safety is guaranteed by clinically tested formulas. Tolerance is guaranteed by tests carried out on the most common skin-sensitizing metals, Nickel, Cobalt, Chrome, Palladium and Quicksilver, and by skin tolerance tests on sensitized skin.